When you trust CarePlus Dental Plans with your clients’ dental insurance needs, you’re trusting Wisconsin’s largest, most respected dental group: Dental Associates. Dental Associates is the exclusive provider of CarePlus Dental Plans and offers complete managed care support to hundreds of Wisconsin businesses of all sizes. CarePlus group dental plans offer brokers a simple way to ensure their clients have reliable dental coverage with comprehensive support behind the scenes. 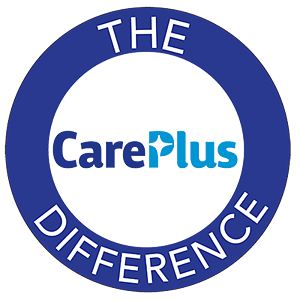 But not only does CarePlus provide your clients the support they need, we also have incredible group persistency and group renewal rates. For 2017, 93% of our existing groups chose to remain with us. Having a group remain with the current carrier means less work for you as the broker. This industry-leading group persistency is made possible by our focus on member satisfaction and the administrative savings achieved by our clinic-based provider network. These savings are passed on to your customers; in 2017, almost 90% of our groups received an increase that was less than dental trend (3%). And approximately 40% of our groups received no rate increase at all! As a broker, when you place your business with CarePlus Dental Plans, you can be confident the group will stay year after year. This is additional peace of mind for you - a busy, hardworking broker. In addition to the reliable dental coverage support CarePlus offers, Dental Associates offers the best dental care in the state. In fact, their clinic teams survey patients via Press Ganey, the industry leader in healthcare patient experience measurement and performance improvement solutions. In 2015, Dental Associates’ clinics received an average patient satisfaction rating of 89.4%—nearly 15% higher than other national dental clinics. Dental Associates takes patient satisfaction very seriously; they measure it and publish results on their website for everyone to see. You can learn more about Dental Associates dentist ratings here.